Getting a code 443 says purge control valve malfunction. I put in a brand new one from fcp still getting code. 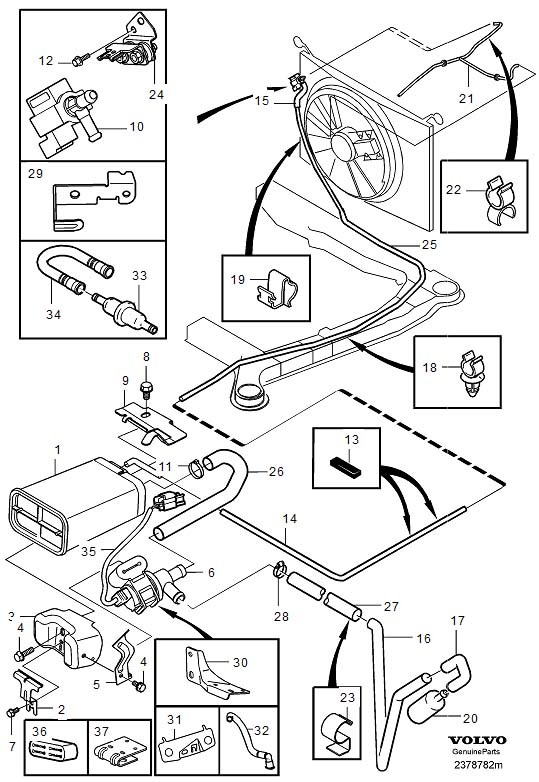 The diagnostic trouble code (DTC) is stored if the engine control module (ECM) detects that there is no signal from the evaporative emission system (EVAP) valve. The diagnostic trouble code (DTC) can be diagnosed when the ignition is switched on. twin heated oxygen sensor (HO2S) control disabled. 4. Open-circuit in the power cable. Check the wiring, shorts/opens? Electrical Connector clean? Is it getting power? Ground good? To test whether its getting power to the purge valve can I hook up a 12volt tester to the connection when the car is warm? Disconnect the purge valve electrical and look for 12 V on one pin to ground with ignition on. I am almost sure there is a short somewhere. The connection is under the intake does anyone know if I trace the wires are they accessible how are they snaked? You will spend hours fudging electrical stuff. Look for 12 V at the purge valve , key on. The wires on Volvo disappear quick into well designed and insulated looms which rarely give trouble unless someone has messed with it. Looked at all four fuse areas not one specifies a fuse, relay for purge valve solenoid or am I missing something. Here is a view of pertinent components. Item #6 is the SHUT OFF VALVE near canister -- rarely fails.